Welcome to 7149 10th Avenue! This West Shore mountain retreat offers a perfect setting and peaceful surroundings. At 1,872 square feet, this charming 3 bedroom and 2.5 bath home features a two-car garage, fireplace, and a large sunny deck. The main living room, dining room, kitchen, and master bedroom are located on the main floor with two guest bedrooms downstairs and laundry closet. 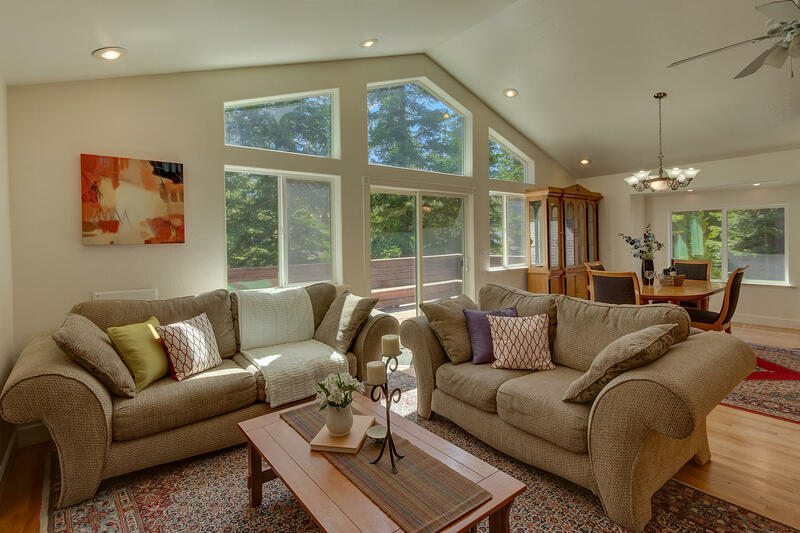 A bright and open floor plan allows plenty of room for family gatherings and entertainment. Easy access to the outdoors and steps away to recreational trail systems, bike paths, hiking and close proximity to Homewood Ski Resort. The area which is now known as Sugar Point Pine State Park was home of the 1960 Winter Olympics Cross-Country events. Enjoy the historic trails for cross-country skiing and leisurely walks. HOA amenities available with beach and buoy access.